The game of billiards is over 400 years old. This image beautifully displays some pool equipment of yesteryear: a rack of worn clay balls, leather tally bottle and peas, worn chalk, and an antique cue. 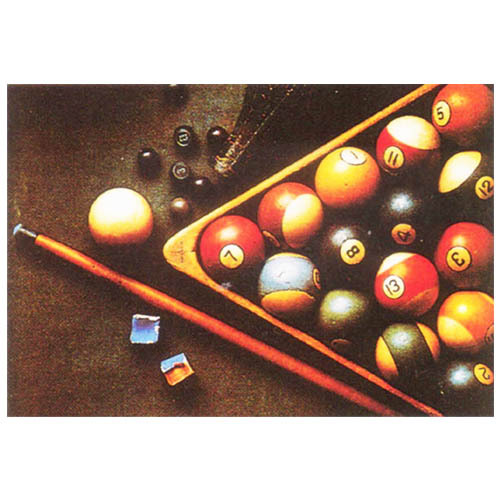 This pool poster makes a great gift! The dimensions are 29" x 20".